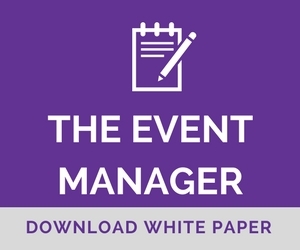 Frontline sales managers are under pressure to ensure that every event on the trade show marketing calendar will be staffed by at least two members from the sales team. But if you’ve recently lost a top performer to a competitor or departmental budget cuts, that’s not always possible. The ideal solution? A backup sales team that can flex in during peak periods. In the world of sales talent management, two very different schools of thought prevail. One group believes that the skill of a salesperson is inherent and static (i.e., they either have it or they don’t). The other group believes that good salesmanship can be learned if the candidate is provided with the proper training and feedback. Truth is, lots of professionals are technically in sales without officially holding the title of Sales Representative. Law firms and CPA firms, for example, are filled with attorneys and senior accountants who are tasked with bringing in new clients and generating additional annual revenue as a condition of their employment. Indeed, many organizations now embrace the philosophy that everyone in the company should be able to “sell” on some level, depending on their particular sales personality and individual characteristics. Given this fluid, interdependent business environment, it should come as no surprise to learn that large tech companies like Basecamp and Slack actually require customer service reps to cross-train with sales personnel, and vice-versa. Rather than feeling anxious or overwhelmed, the majority of employees who participate in cross-training programs actually feel like the experience has enriched their jobs by eliminating the boredom associated with the “same old same old” daily grind. If you look around the office, you’ll likely see a number of excellent candidates who would make fantastic trade show booth staffers and backup/temporary salespeople. Start with your customer service team and your front office personnel. These folks have customer-facing roles and enjoy working one-on-one with clients in solving problems and fulfilling expectations. In addition to manually evaluating and selecting cross-training candidates from specific departments, it’s also a good idea to ask for volunteers company-wide. You may be surprised at the response, and you could end up discovering a “hidden gem” employee with a real talent for sales. Working closely with your Human Resources department, you can now begin growing your own backup sales team to assist in covering all the trade shows on your calendar. While employee training platforms vary wildly from one business to another, most companies prefer either pairing employees together for one-on-one job shadowing or developing more formal classroom-based sessions. Group training in a classroom environment provides an opportunity for trainees to receive immediate constructive feedback that all attendees in the room can hear and benefit from. Insider Tip: When structuring your group cross-training sales program, be sure to change up the content delivery from one session to the next to keep trainees engaged. For example, you could alternate between, say, video training and group discussion one week, followed by role playing and practice scenarios the next week. It’s important to communicate to cross-trainees the relevance of these new job functions and skills. They need to understand that cross-training in salesmanship is not intended to be viewed as a distraction from their primary job nor a “piling on” of additional work tasks. Be sure to build cross-training into employees’ KPIs and career development goals so they can be properly motivated and rewarded for their efforts.